Winning over the Chinese market is a complex game, and in the hyper-competitive mobile sector, it takes a special product, a unique approach, and a lot of determination to stand out. 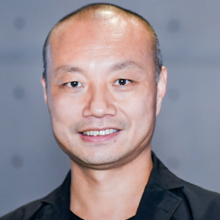 Here, Ben Wong, chief marketing officer for Google in Greater China, breaks down how his team used brand partnerships to build awareness and ultimately grow reach quickly and effectively in the Middle Kingdom. As a result of rapid (and vapid) growth of the economy, Chinese consumers today have come to expect nothing short of instant gratification. But as they continuously seek richer experiences, language has often gotten in the way. This explains why, according to five major apps stores covering 52% of the overall market,1 there are currently more than 90 translation apps in China’s crowded tech landscape. But even among the many contenders, Google Translate’s Word Lens technology is uniquely powerful. With a little help from machine learning, users simply need to hover their cameras over the text, rather than taking a photo and uploading it to an app, and Word Lens provides instant translations. I joined Google for two reasons: I believe in the power of its technology and in its ability to improve the lives of Chinese consumers. My team, mostly millenials who grew up in a relatively “Googleless” China (c. 2010), is especially passionate about making sure the younger generation Chinese have the opportunity to experience the breadth of Google technologies, including tools such as Google Translate. We set ourselves the goal of introducing Google Translate — and Google — to young people, at scale. This is a challenge for any brand, but in a market marked by some of the strongest tech players in the world combined with a relatively lower brand awareness, we found ourselves in the face of a gargantuan task. To combat the two issues, we turned to co-marketing. But the question was how, and more importantly, with whom? Common in pop culture in the form of artist collaborations (Cardi B meets Bruno Mars), movie crossovers (remember The Lego Batman movie?) and fashion integration (Adidas by Stella McCartney), co-marketing is set up to be a key marketing channel in the near future as brands move away from straightforward media buys. In a large market like China, this kind of collaboration can help brands cast a wide net across the entire country, including in Tier 2 and even Tier 3 cities. When faced with limited budgets, there’s the added benefit of pooling resources (including budget, people, and brand clout) to be more competitive. 1) Co-marketing should elevate both brands. When coming together, the partnership needs to add value to and elevate both brands. When the marriage is overly promotions-focused, it can negatively affect the brand’s value. Similarly, both brands need to benefit from the partnership, otherwise, one brand will get absorbed and eventually be eclipsed by the other. 2) Co-marketing must be a win-win-win situation. Aiming for a win-win isn’t enough. Successful co-marketing builds both brands, but more importantly, it must ultimately create a valuable experience for the third and most important party in the relationship — the consumer. We identified three popular local brands that Chinese consumers interact with on a daily basis: Mobike, Zhihu, and Alipay. Together, we brainstormed innovative ways to integrate Google Translate into the partners’ core competencies. Homegrown in Beijing, the bike-share company today serves 15 million daily active users in more than 200 cities and 19 countries around the world. Working closely with Mobike, we found a way to integrate Translate’s key features to Mobike’s interface. An app takeover featured Google Translate icons instead of the app’s usual bike icons, and Google Translate banners ran across the app’s homepage and Mobike’s monthly membership card (which rewards users with credit for free rides). The seamless integration of Translate onto the Mobike platform not only drove users but also brand awareness. The collaboration led to an incredible 99 million impressions and 3 million app installs throughout the campaign, which built our confidence in the co-marketing approach. The most popular forum on the 200-million-user platform Zhihu features tech-related discussions with top brands and experts. By gaining an understanding of the community in the forum (which regularly reaches about 1 million people), we identified another great opportunity: our engineers presented an insider look into how Word Lens applies machine learning, and offered Zhihu users an exclusive ebook that unveiled Translate’s sophisticated and user-friendly technology. The partnership was such a hit that the site promoted our ebook organically in its exclusive newsletter, the Zhihu Daily. Impressions following the promotion climbed to a staggering 33 million, and the e-book was viewed 1.2 million times within the first week alone. Creative ideation is one of the most important parts of co-marketing campaigns, and it was our team’s creative output that intrigued Alipay, one of the nation’s most prominent online payment platforms. Together, we co-created a series of videos designed to reach our shared audience — young people living in Tier 1-3 cities who enjoy shopping and travel. One of the key stories featured two long-lost childhood friends who reconnected through the use of Word Lens and Alipay. The video shows the friends connecting as young girls in English class as they learned the phrase “How are you?” and follows them through adulthood when they reconnect through that same phrase. The heartfelt video campaign gave us an opportunity to show the power of Google Translate in creating and maintaining relationships and encouraged consumers to get back in touch with old friends by asking, “How are you?”. The video racked up 10 million views and was shared on social, earning 2 million reads, 1.4K shares, 3K likes, and 8K comments. By being thoughtful with our partner selection, driving the campaign ideation process, and focusing on the customer experience, we boosted brand awareness by 5% and delivered a true win-win-win for both brands and the consumer. Choosing the right partner is about more than just locking in a business transaction with a local favorite — it’s about building a relationship. Choosing a partner that can help elevate your brand and the customer experience is the foundation to developing a successful campaign. Building a great relationship takes time. Some campaigns might take over a year to plan, so plant the seed early, and see what unfolds. For smaller players in a big game, adding value can come from taking the lead on creative ideation, which in turn can lead to better ideas and more excitement in the partnership. To do this, develop creative concepts with clear benefits to the other brand. China is complex, fast, and big, and its millions of online consumers have high expectations matched with low tolerance for mobile inefficiencies. By sticking to the win-win-win formula of delivering value to our partners, ourselves, and the consumers, we were able to develop co-marketing strategies that helped people connect all over China. 1 Data sourced from these top five stores: app.hicloud.com, as.baidu.com, oppomobile.com, zhushou.360.cn, sj.qq.com.